Welcome to ComingSoon.net’s look at all the top titles arriving this week on Blu-ray, DVD and Digital HD. Check out the gallery viewer below for a look at the major new releases, catalogue films and television collections hitting shelves and/or VOD beginning Tuesday, February 28, 2017. 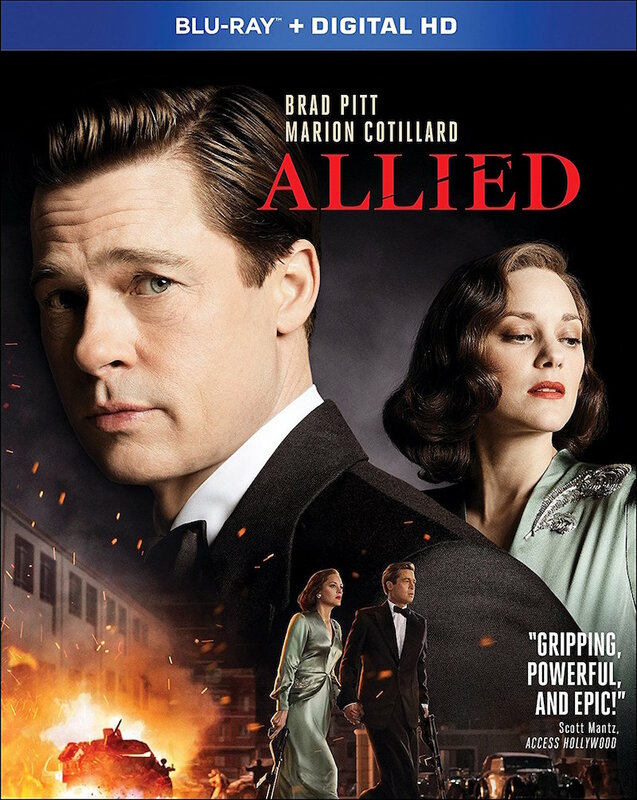 Recent big-screen releases coming home February 28 begin with Robert Zemeckis’ gripping WWII thriller Allied, starring Brad Pitt and Marion Cotillard. Then, Marvel’s Phase 3 continues with Scott Derrickson’s massive box office hit Doctor Strange. 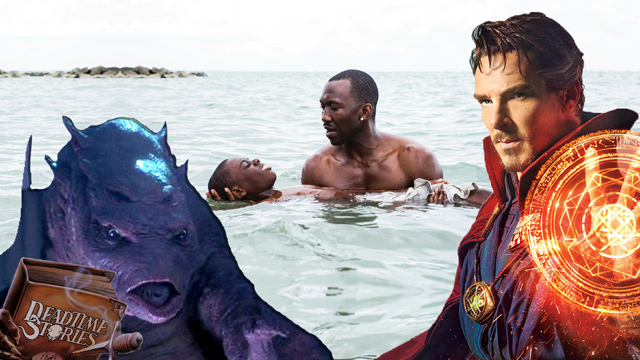 Benedict Cumberbatch makes his debut as Marvel’s master of mystic arts and the disc also offers a sneak peek at what’s to come when Strange returns this fall in Thor: Ragnarok. Fresh from its Best Picture, Best Supporting Actor and Best Adapted Screenplay wins at the Academy Awards, February 28 also brings home Barry Jenkins’ powerful drama Moonlight. Other new films include the Warren Beatty period comedy drama Rules Don’t Apply, the Steven Seagal actioner Contract to Kill and, on DVD only, the recent supernatural thriller Child Eater. Warner Archive this week turns back time to an age When Dinosaurs Ruled the Earth! They’re delivering Hammer Films’ 1970 prehistoric fantasy epic, arriving in HD for the first time. Then, they’re paying tribute to the legendary Joan Crawford with (on DVD only) six different film classics. Look for 1933’s Dancing Lady, 1934’s Sadie McKee, 1940’s Strange Cargo, 1941’s A Woman’s Face, 1949’s Flamingo Road (which reunited the star with the equally legendary Mildred Pierce helmer Michael Curtiz) and 1953’s Torch Song. The Criterion Collection then follows its previous Richard Linklater releases (Slacker, Dazed and Confused and Boyhood) with The Before Trilogy, collecting Before Sunset, Before Sunrise and Before Midnight alongside a host of special features. You can browse the stylish covert art for all three titles alongside the set’s box art in the gallery viewer below. February 28 also sees the continuation of Lionsgate’s Vestron Video line. The eighth title in the collector’s line is director Tibor Takács cult creature feature The Gate. We’re thrilled to feature a look at the Blu-ray’s features. In the player below, you can take a behind-the-scenes look at one of the film’s special effects sequences. Not to be outdone, Shout! Factory‘s Scream Factory label brings to Blu-ray a collector’s edition of the bizarre 1986 fairy tale fueled gore fest Deadtime Stories. Framed as a father’s reluctant bedtime stories to his young son, the film offers three short stories, including a werewolf take on “Little Red Riding Hood” and a a “Goldilocks and the Three Bears” wherein the heroine is reenvisioned as a criminally insane young woman with Carrie-like ESP powers. Hitting DVD only, the first season of Netflix‘s Fuller House brings to the format all 13 season one episodes in a two-disc set. Although it won’t be available until Friday, March 3, this week also sees the digital HD release of DreamWorks Animation‘s Sing. The animated hit hails from writer and director Garth Jennings and boasts the vocal talents of Matthew McConaughey, Reese Witherspoon, Seth MacFarlane, Scarlett Johansson, John C. Reilly, Taron Egerton and Tori Kelly. You can check out cover art for all the February 28, 2017 releases in the gallery viewer below alongside a listing of each release’s special features (where applicable).